Not all primary schools are blessed with a library so we count ourselves lucky to not just have one but to have such a lovely space for our children to come to read, write and draw every week. 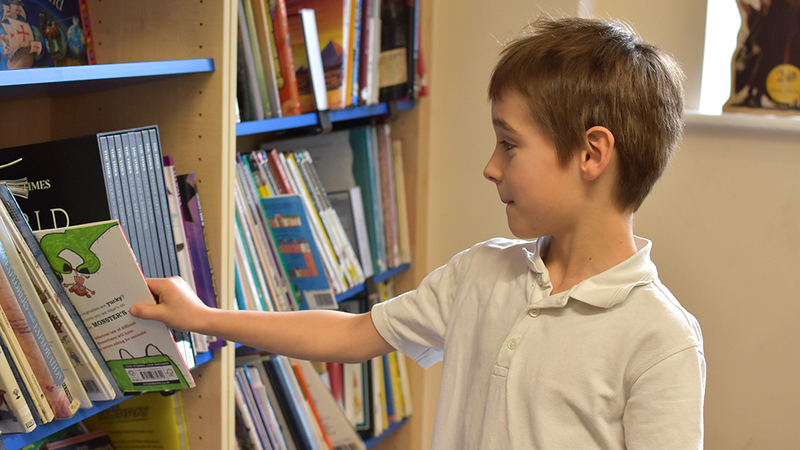 We are also fortunate to have a yearly budget for books and generous donations from parents and other supporters of the school to ensure our children have access to a wide range of titles, from classics to the latest bestsellers. 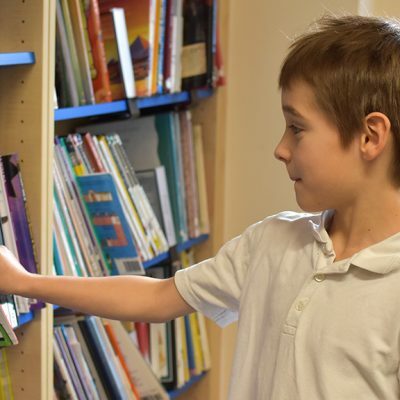 The library also supports the work the children do in class as part of National Curriculum requirements and contains books to help children and families and carers understand and work through social and emotional development. 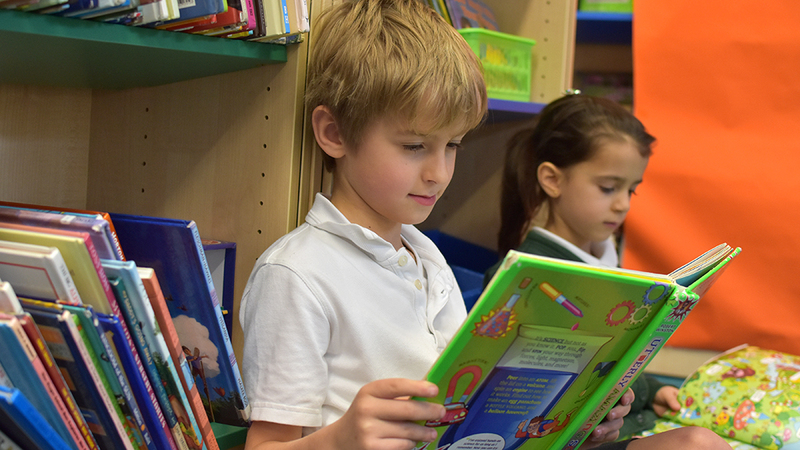 Every class, from Reception to Year 6, comes to the library once a week for an hour to browse, borrow and return books. 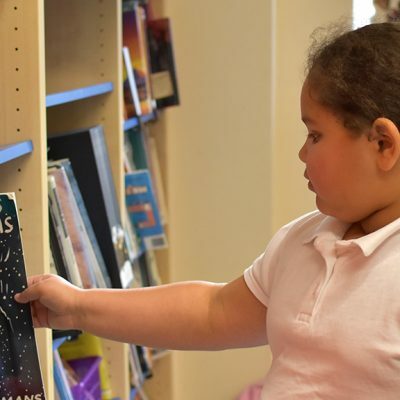 Younger years also enjoy listening to stories, while older children participate in activities related to reading such as writing to their favourite authors and illustrators, reviewing books, creating comics and writing poetry. Each year also has access to the library at lunchtime during the week an, after school on Wednesday, the library stays open until 4pm so children can come in with their families and carers to share stories. Mrs Pope, our librarian, is always happy to discuss any aspect of reading, from reluctant to voracious readers. 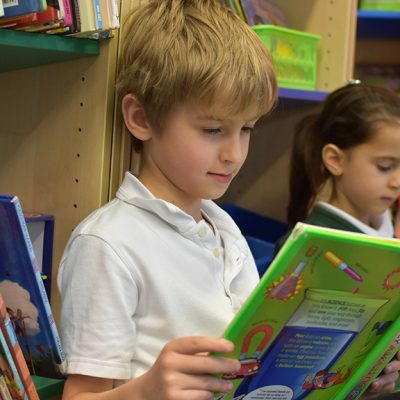 Children in Years 5 and 6 also work as Junior Librarians, helping out in the library at lunchtimes by tidying books, reading to younger children and helping with any aspect of library life. We have welcomed a variety of authors and illustrators to the school over the years. On World Book Day 2015, author Peter Bentley visited us to officially open the new library in what was the old IT room. 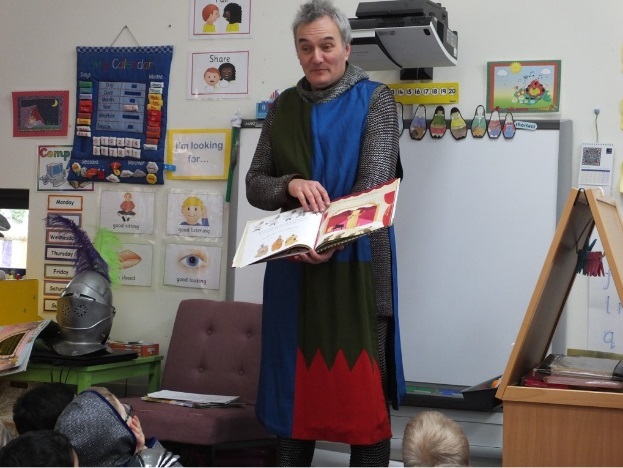 He spent the day with all of us, reading from his books and dressing as a medieval knight! The following year we enjoyed African storytelling and, in 2017, author and illustrator Duncan Beedie visited to celebrate World Book Day, treating our older children to a masterclass in drawing lumberjacks and animals. Also in 2017, author Kiran Millwood Hargrave popped in to read from her award-winning novel The Girl of Ink and Stars and discuss the craft of writing fiction. Mrs Pope often attends events for primary school librarians to keep up to date with good practice and knowledge of the fast-moving world of children’s literature. 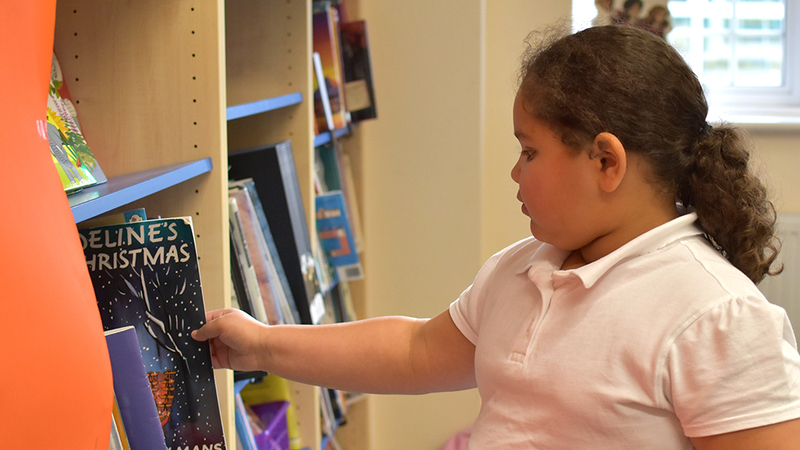 She is always looking for ways to improve the library and what it offers our staff, children and families and welcomes suggestions and input. There are plans in the pipeline so do visit our dedicated library blog at www.childtasticbooks.com and the read monthly library newsletter for news! You might also like to follow us on Twitter by using the following handle: @Childtastic. If you would like to contact Mrs Pope about any matters related to the library and children’s reading and/or literature, please feel free to email her at spope@st-michaels-oxf.oxon.sch.uk.